Because he has ably outpictured these essential virtues, El Morya has, through many embodiments, worn the crown of authority, ruling many kingdoms wisely and well. His rulership has not been that of a dictator, demanding that his subjects submit to his human will; but rather, his interpretation of government is God-over-men and his concept of true statesmen is God's overmen. He inspires in his subjects illumined obedience to the holy will of God. The Master Morya was embodied as Abraham, the first Hebrew patriarch; Melchior, one of the three wise men; King Arthur, guru of the mystery school at Camelot; Thomas Becket, Archbishop of Canterbury; St. Sergius, founder of over 40 monasteries in Russia and one of the Russian Orthodox Church's most highly venerated saints; Sir Thomas More, the “man for all seasons”; Akbar the Great, founder of the Mogul empire in India and the greatest of its rulers; and Thomas Moore, the Irish poet laureate. Besides a wide-ranging investigation of the spiritual path—these Pearls are a transfer of light from El Morya's heart to your own heart. 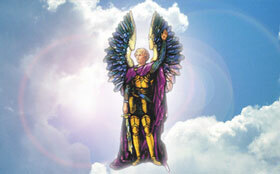 Read more about El Morya, his lifetimes and the meditations of his heart. As the colorful and blessed Thanksgiving season approaches, the attention of all in our realm as well as in yours turns in joyous expectancy to bringing in the sheaves of a bountiful harvest. 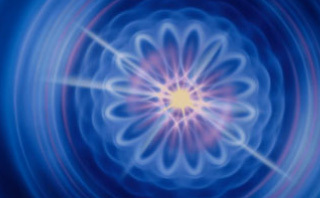 See to it that the energies which you release from chakras now purified are in the exact replica of the will of God that is the blueprint of life, the pattern of destiny that God has sealed within each of your star-fiery chakras. 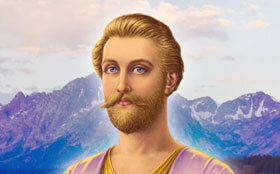 Get to know El Morya from his different lives and from these 26 messages on love. See Morya in a new Light and gain a greater understanding of his heart. 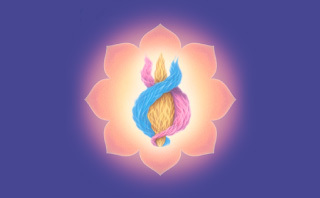 El Morya helps you meet life’s challenges by understanding who you really are and can be – the calm, centered, fiery being unmoved by today’s turbulent uncertainties. Connect with your spiritual allies: the ascended masters and archangels!